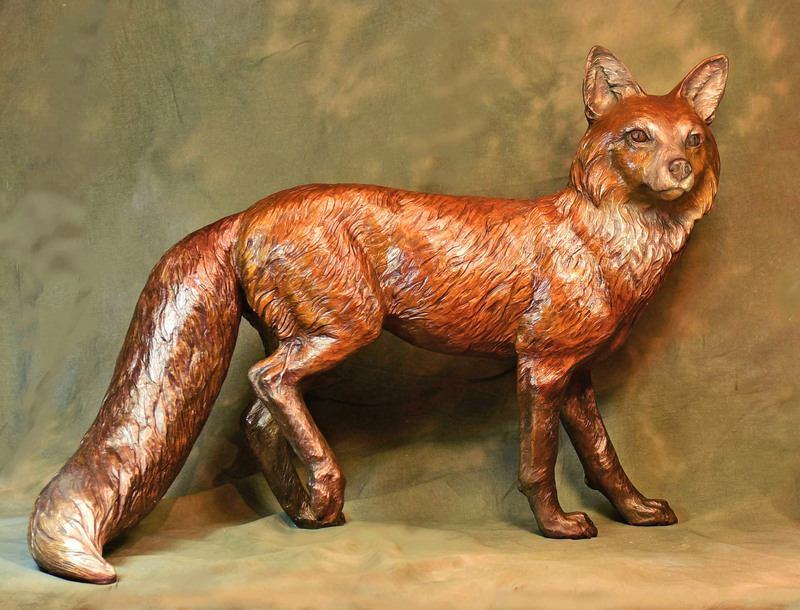 This bronze of a life-sized red fox measures 27″H x 37.5″L x 16″W and is a limited edition of 12. It is the perfect size for outdoor placement in a garden or patio setting. We frequently see fox on our land, and have occasionally “adopted” them by leaving food out every evening to supplement their natural diet. Their delicate, beautiful features are always captivating.